On July 2, the U.S. Department of Defense released the ‘National Military Strategy of the United States of America 2015,’ and a few weeks earlier, on May 26, China too unveiled its defence white paper, titled China’s Military Strategy. Both reports are an annual exercise, and this year’s documents reflect adjustments in military strategy necessitated by geopolitical changes, such as China’s growing global power status, the proliferation of Islamist terrorist organisations, and a resurgence of Cold War rivalries. Soon, Japan too will release its annual defence paper, and the Japanese media has already carried reports about an outline of the paper; Russia is also adjusting its existing defence strategy. All these white papers provide an insight into how each country now perceives a changing world, geopolitically and technologically, and how its policies will adapt to these changes. Read together, the American and Chinese papers, as well as the Japanese outline, indicate that the Asia-Pacific region has become a major strategic intersection and could be the location of a major conflict in the future. Within the region, the likely flashpoints will be around the disputed Senkaku/Diaoyu Islands, Spratly Islands, and Paracel Islands in the South China Sea. Beijing stakes territorial claims to parts of these islands, and a likely scenario will include China as the aggressor, and the U.S. supporting the counter efforts of other countries. Any turmoil in the Asia-Pacific region has the potential to impact India, as it has trade and security interests in the region, and the main actors—China, Japan and the U.S—are all important partners for India. The tone of the U.S. paper is that of the world’s sole superpower in a holding position, embarking on rear-guard action to maintain primacy in the face of its slowly diminishing global influence. The report establishes the “need to counter revisionist states that are challenging international norms”, as quickly as its first page, and admits that while still low, the “probability of U.S. involvement in interstate war with a major power is assessed to be… growing” (page 4). Both of these references can only be interpreted as a thinly-veiled threat to Russia and China. The U.S. report alludes to China’s “aggressive land reclamation efforts” in the [Asia-Pacific] region, and says that the U.S. plans to “press forward with the rebalance to the Asia-Pacific” and place its “most advanced capabilities and greater capacity in that vital theater” (page 9). The tone of China’s own white paper, released in May, demonstrates the will of a rising power to challenge the status quo, where the U.S. is the sole global superpower. Secondly, by naming one of the responsibilities of its armed forces as “safeguard [ing] China’s security and interests in new domains” [emphasis added] Beijing is signalling its expansionist intentions. China identifies the “external countries” that are “busy meddling” in the South China Sea as the U.S. (which is “carrying on its ‘rebalancing’ strategy and enhance[ing] its military presence” in the Asia-Pacific), and Japan (which is “sparing no effort to dodge the post-war mechanism”). With this, China has clearly established who it perceives as threats in the region. Meanwhile, Russia has expressed its displeasure with the American white paper; Russian presidential press secretary Dmitry Peskov said its wording “signals a confrontational attitude.” Two days after the U.S. paper was released, President Vladimir Putin convened a meeting of Russia’s security council to call for a “rapid analysis of… potential challenges and risks” in order to update the country’s National Security Strategy to 2020. Among the countries adjusting their military strategies, Japan, not only geographically in closest proximity to China, but also named in the Chinese report, will be the most anxious. Tokyo’s strategy appears to be threefold: efforts to gradually move away from a pacifist interpretation of its Constitution, engaging the U.S. to maintain a presence in the Asia-Pacific in defence of its treaty allies, and to seek new partners. Among these is India. India does not publish defence white papers, but is making adjustments to its own former strategy of non-alignment; this can be seen in its increasingly obvious tilt over the past year towards the U.S. and Japan, while it simultaneously seeks to maintain a balance in relations with Russia and China. India’s deepening security relationship with the U.S. and with its treaty allies in the Asia-Pacific—catalysed by the US-India Joint Strategic Vision for the Asia-Pacific and Indian Ocean Region of January 25—is evident in Japan’s involvement in, the India-U.S. Joint Naval Exercises, reportedly confirmed for later this year. This is unsurprising, as it is with Japan that India has a longstanding peaceful relationship and seeks to deepen relations across a variety of sectors including technology, nuclear, defence, and infrastructure, and as the largest recipient of Japanese ODA (official development assistance). On the perceived threat from China, India has areas of strategic convergence with Japan and the U.S. But India will almost certainly not be involved in any military conflict involving China, largely due to the warmth gradually returning to India-China relations amid increased points of engagement (BRICS, Russia-India-China, the East Asia Summit) and India’s foray into Eurasia as part of the Shanghai Cooperation Organisation. Instead, India will have to orchestrate a fine balance between its relations with the U.S., Japan, and their allies, and, on the other hand, China. The balancing exercise will be made more exacting by the growing hostility between India’s long-time strategic partner Russia and the U.S.-led West, as well as the growing closeness between BRICS and SCO members Russia and China. Karan Pradhan is a Senior Researcher at Gateway House: Indian Council on Global Relations. 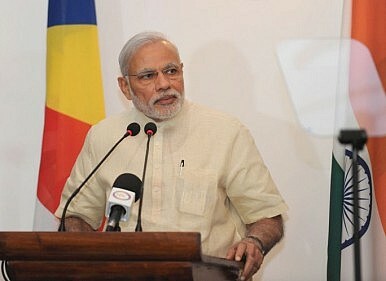 This article was originally published at Gateway House: Indian Council on Global Relations, a foreign policy think tank in Mumbai, India, established to engage India’s leading corporations and individuals in debate and scholarship on India’s foreign policy and the nation’s role in global affairs.